Erin: Love! I was getting sick of it by day 4 though. 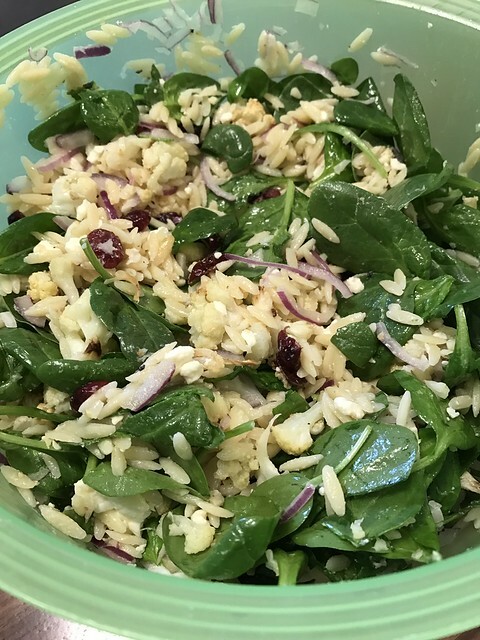 Notes: I don’t think anyone else in my family would have enjoyed this, but I love feta, spinach and cranberry based salads and this was a great lunch all week. This entry was posted in cauliflower, feta, fruit, lunch, pasta, spinach. Bookmark the permalink.